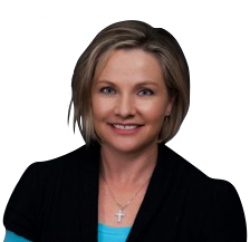 With more than 25 years’ experience working with SME’s, corporates and government agencies, Gaelene is a leading expert on growing trust in teams to create extraordinary results in productivity and profitability. Gaelene is a Business Success Partner, Facilitator, Trainer, Accredited Wealth Dynamics and Talent Dynamics Consultant, Inspirational Keynote Speaker, Author. She was the Team Performance Coach to Squirrel Mortgages in 2016/ 2017, when they were awarded No.1 Mortgage Broker Branch and No.1 Mortgage Broker of the year in New Zealand. She is a past-Mentor with the University of Auckland School of Business Women’s Mentoring Programme. As a Business Success Partner, Gaelene has an extraordinary ability to bring teams together quickly and effectively to produce unprecedented results. With over 14 years’ experience with Wealth Dynamics, and sister product Talent Dynamics, no one in New Zealand has more experience or knowledge on this profoundly revolutionary profiling system which is designed to create more Trust and Flow in teams. The bottom line is extraordinary results in terms of productivity and profitability. In addition, Team Fusion’s unique Freedom and Accountability Framework interweaves traditional business practices, with Performance Profiling to embed High Performance into the heart and soul of your Company’s culture. 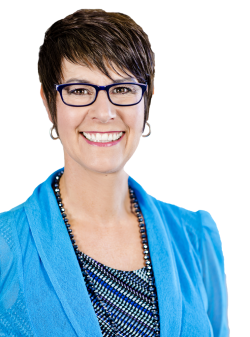 Trained in several coaching modalities, Gaelene provides individual 1:1 Leadership Coaching for Business Owners, Leaders, Managers and Entrepreneurs who want to supercharge their results. After a career in construction, building and energy industries, Judith uses her technical expertise and professional networks to source and identify talented candidates for our clients. Judith provides recruitment solutions across professional services, construction, engineering, sales and business support roles. She is passionate about building authentic relationships with clients and candidates alike, which helps her understand the role and ensure only best fit candidates are put forward for consideration. As a recruitment consultant for the last two years, Judith’s strengths include personal candidate care and building professional relationships with her clients to achieve their strategic goals. In her spare time, Judith loves getting into the outdoors and is completing sections of the Te Araroa Trail from Cape Reinga to Bluff and catching up with friends and family. She actively promotes career opportunities for women and youth through volunteer work. Nicola brings over 15 years commercial experience across IT, construction, retail and consulting industries. A commercially aware resourcing professional with significant depth in the internal and external Recruitment and Organisational Development field. Her background includes strategic contribution, leadership and resourcing capability development, performance improvement, change management, talent management, customer-centric solution, culture and brand awareness. In recruitment and resourcing Nicola’s key areas of expertise are in; building passionate, high performing teams, supplier and stakeholder management, recruitment process design, development and delivery, project management, including RFP processes and relationship management in complex organisations. As a Sales Coach Dion Campbell from DCx Sales is a leading expert on improving sales results. As a self-described Sales Geek, Dion is a sales professional committed to guiding and teaching business owners and salespeople how to sell more and make more money. He has spent the last 15 years creating sales training programmes and processes and is most passionate about helping businesses unlock their massive sales potential. Dion has continually proven to be an industry leader for developing ethical sales processes and enabling companies to execute their sales plans more effectively. He has vast experience managing the marketing and sales processes for a variety of national and international companies. For Dion, selling was a way to grow as a person and as a professional. It takes courage, persistence and belief in your process to be a sales success. The number 1 thing that Dion has learned in his career, is it is incredibly easy to close sales and build a business when you know how. Now he takes pride in coaching, teaching and offering advice to people all over the world, that need to believe more in their products and their sales process to get the results and outcomes they desire. DCx Sales partners with Team Fusion International Ltd to provide sales coaching, training and consulting to push your sales to massive results. Kat is a leading systems expert. She has spent over 15 years working with businesses at keeping them organised, automated and efficient. With an extremely diverse background in Marketing, Sales, Administration, Project Management, Online Education, and Coaching, Kat’s breadth of knowledge over so many industries is a real asset. Kat has successfully helped dozens of Business Owners level-up their businesses, feel organised and under control by helping them learn and implement SMART (scalable, measurable, affordable, realistic and trainable) systems, and train their teams. She has developed a unique Business Warrant of Fitness (BWOF) Framework to indicate which level a business is at in 30 foundational areas. This helps business owners get very clear about which areas of their business to prioritise and implement new systems. Kat has been married to her husband Neil for 16 years. Neil and Kat have two spirited daughters and practically a small zoo of animals.